Imbue Botanicals, LLC has expanded its current CBD product line with the introduction of its transcend all natural vaporizer cartridges. 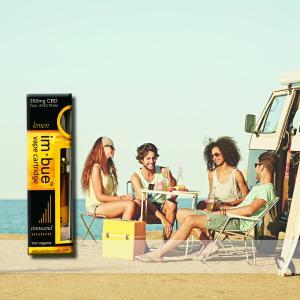 PALM SPRINGS, CA, UNITED STATES, August 9, 2018 /EINPresswire.com/ -- Palm Springs, CA, August 9, 2018 - (Press Release Point) – Imbue Botanicals, LLC, a Wyoming based company, is pleased to introduce its transcend line of all-natural vaporizer cartridges. The product addition is a further expansion of its extensive hemp-derived CBD product line with CBD vaporizer cartridges unlike others currently marketed. Imbue Botanicals offers an extensive line of premium CBD products produced from organically grown Colorado hemp, including CBD tinctures and CBD capsules and CBD topicals for both people and pets. 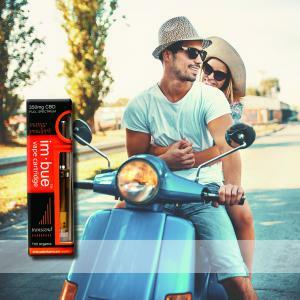 Imbue’s 1 ml., 100% natural Vape Cartridges contain only three ingredients…their organic, Colorado grown refined CBD oil, cold pressed natural flavoring and natural terpenes. That’s it. And they pack a powerful 350 mg of CBD per cartridge. Smooth and very flavorful, Imbue vape cartridges bring a new level of enjoyment to CBD. Packaged in a glass cartridge and see-through recyclable box, the cartridges are currently available in 2 flavors; Mango Pineapple and Lemon, which are sure to please the pickiest of palettes. The product is available online at www.imbuebotanicals.com and from select retailers. Imbue Botanicals offers an extensive line of full spectrum, premium CBD products produced from organically grown Colorado hemp, including tinctures, capsules, topical CBD lotions and salves and specialty products such as vaporizer cartridges. Their premium Colorado grown hemp CBD products are non GMO, cruelty free, vegan and contain no added flavorings or sugars. Available in their own online CBD store, www.imbuebotanicals.com, or through other select retailers, their products offer exceptional quality, superb packaging and unmatched value.